We are going to post a few of the videos here in this post as well. Many of the requests are for sounds that we have in the catalog but that the requester has somehow misspelled. The solution? 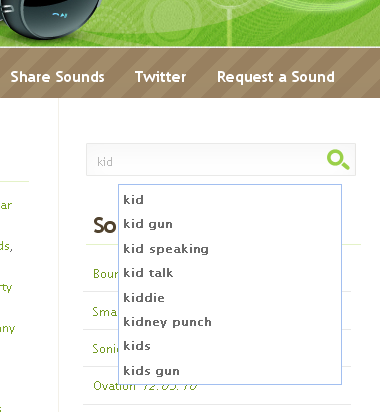 We’ve integrated an auto suggest search feature that will suggest words based on our sound catalog. It shows you what we have in our database. Pretty cool huh? So give it a try and give us some feedback. 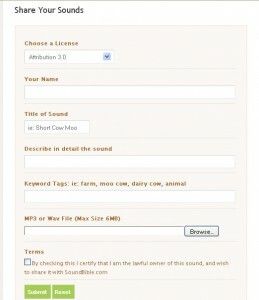 Thanks for using SoundBible.com and be sure to tell your friends about us. We have just updated a huge portion of our user platform. We’ve added all sorts of new things, and we’d like to detail them and get your opinion. Please post feedback below in the comment section. All ideas and concepts are welcome. So what’s new here @ SoundBible.com ? New MP3 Player – We’ve commissioned a custom mp3 player that shows you what the sound looks like. It renders an image of the wave just like Audacity or other sound apps. By visualizing the sound you can better get a feel for it’s dimensions. It also includes a volume control, position sidebar, and a display of the sound time. More Download Options – We’ve now added a 3rd download option. Zip file download. If you are on a slow connection or just wan to download the wav files faster then you should try the new .zip file downloads. This feature compresses the .wav files for faster download. New Header Image – The banner at the top of the main site was updated recently. We hope you like the new banner. We think it looks more professional than the last one. Nice and clean. Give us your feedback and any other ideas you can think of. 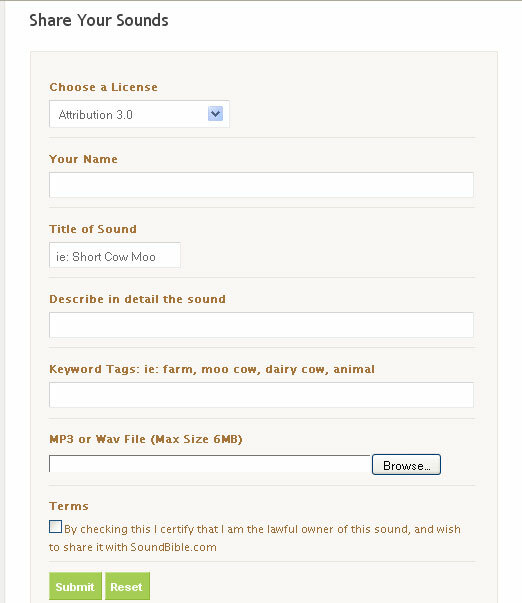 We want to give a big thanks to those people who have shared sounds with SoundBible.com We recently implemented a share your sounds feature, so that users could share their audio with other like minded individuals. Big thanks to those of you willing to share. It’s also kind of fun to see your recording posted online, if you are into that sort of thing. We attempted to make the process as straightforward and user friendly as computerly possible. You can share either an mp3 or wav sound recording. 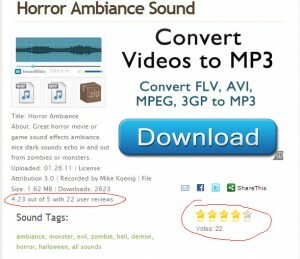 MP3 is the most likely choice, but it doesn’t matter so long as it’s an .mp3 or .wav file. 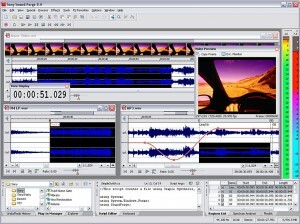 If you are looking for something to record with you can always download audacity. Most of the time we use a Zoom H4 handy recorder, the quality on this little mobile recorder is about as professional as it gets, and you can usually pick one up for around $200 if you shop around. If you don’t want to shell out $200 you can always use the mic on your pc or cell phone. Most of our sound effects are used for school media projects, flash games, fun, or similar. Those applications don’t’ require the super detailed audio that a million dollar movie would. Thanks again to all those people that are helping build our public sound collection. We sincerely appreciate the effort. 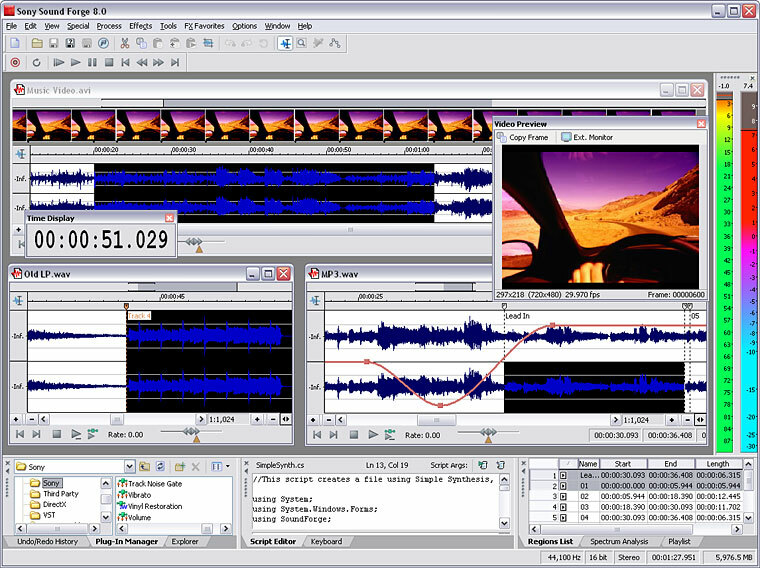 Express Burn is a program for Windows that lets you create and record audio or data CDs with any PC with a CD recorder installed. With Express Burn you can record a data or audio CD quickly and easily by dragging the files you want onto the Express Burn icon and clicking record. 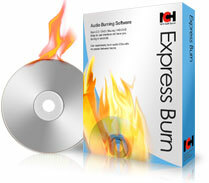 Express Burn CD/DVD Burner application was designed to help you create all kind of CDs, DVDs or BDs. Express Burn CD/DVD Burner then does all the rest converting the files if required. It is also the fastest CD writing program in the world using proprietary optimizing systems. 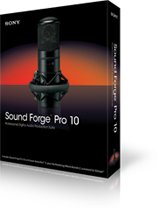 · Supports multi session recording to CD (you can choose to add more music tracks at a later time). · Records CD Recordable (CDR) and CD Re-recordable (CDRW) discs. · Can seamlessly burn audio CDs with no pause between tracks. · Express Burn Plus can burn ISO compliant data DVDs and Blue-ray discs (DVD-R, DVD-RW, DVD R, DVD RW, BD-R, BD-RE, BD-R DL, BD-RE DL). 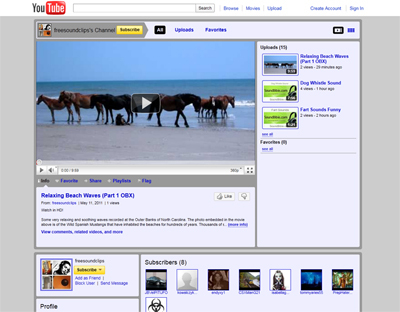 · Choice of widescreen or standard formats for video dvd authoring. · Record video files to PAL or NTSC. · Support Joliet and CDA formats. · Data CDs support multilevel folders and long file names. · Audio CDs are recorded with direct digital recording (so perfect audio quality is maintained). 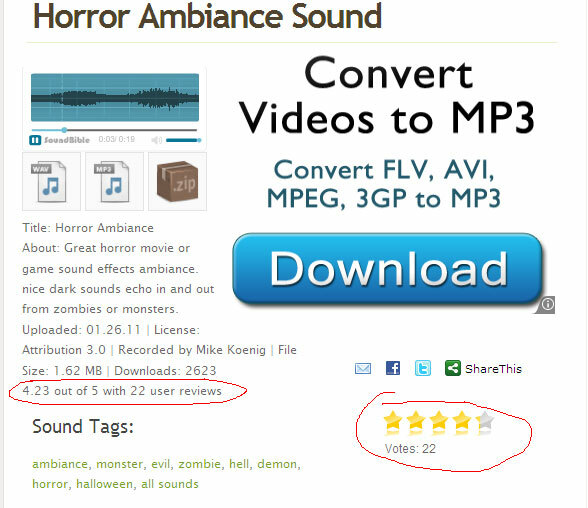 · For Audio CDs it supports wav, mp3, wma, au, aiff, ra, ogg, flac, aac and a number of other audio file formats. · Data CDs are fully ISO compliant with Joliet extension. · Includes command line operation for automation and integration with other programs. · Supports fast, right mouse click functionality for burning ISO images. · Simple, easy to use interface for day-to-day operation.